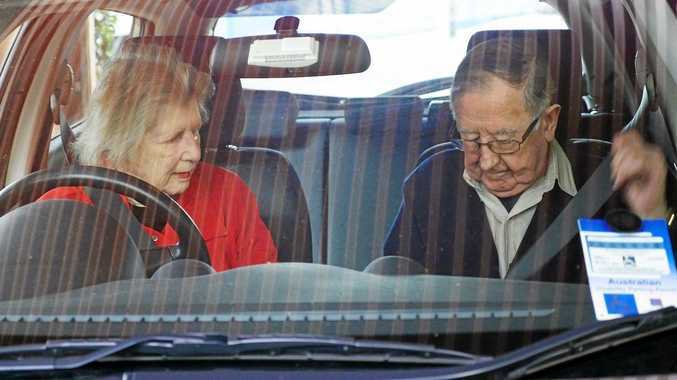 ROAD SAFETY: As we age, our body shape changes and so too should our car seat belt settings. AS our body shape changes we should regularly review the fit of our car seat belt to ensure it gives us the best possible protection. Ensure your belt is very low touching your thighs so that is positioned over the hip bones as opposed to higher up on your belly where critical organs are. Position the belt low, in contact with thighs and below any belly fat. Make sure the shoulder belt sits across the collarbone midway between the neck and the shoulder. It is also critical to make sure that the belt is snug. When you put on your seat belt, first be sure to push the lap belt down as low as possible, so it touches your thighs. Then check to make sure the shoulder belt is across your collarbone. And pull the belt so it is snug across your body. GOOD FIT: Many people have the seat belt positioned too close to their neck or too high on their abdomen and many people have both these problems. Many seat belts have height adjusters on the column behind your window which you can adjust to make the belt fit just right. If you have trouble finding this adjuster, check your vehicle's user manual, or contact the vehicle manufacturer or car dealer. 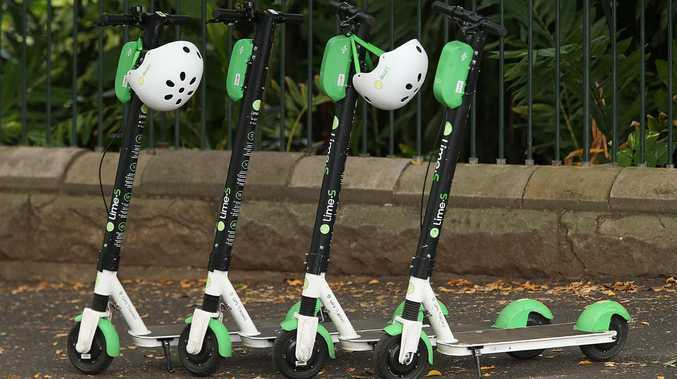 Having your belt low across your lap, high across your collarbone, and snug means you have positioned the belt the way it was designed for maximum protection. One of the most serious errors those who experience discomfort make is repositioning the seat belt away from the strong parts of the body. 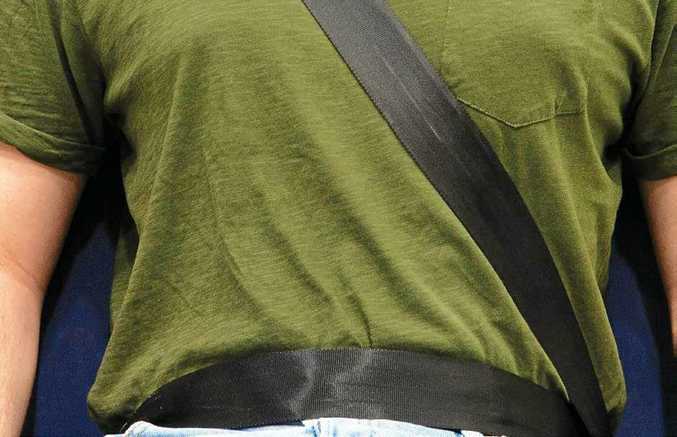 Placing the sash belt behind the back or under the arm can cause serious injuries in a crash because the seat belt is no longer applying the crash forces to the strongest parts of the human body. 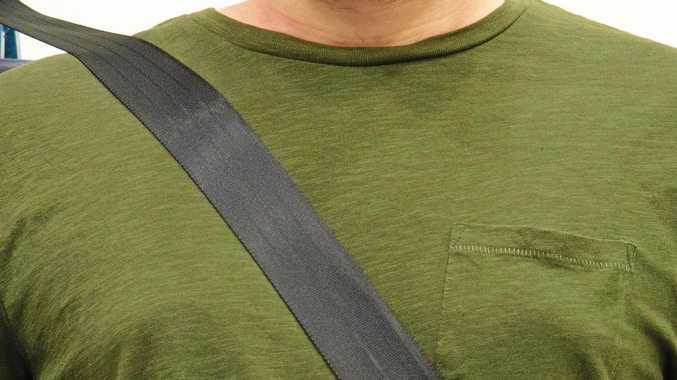 CORRECT FIT: Having your belt low across your lap, high across your collarbone, and snug means you have positioned the belt the way it was designed for maximum protection. Don't reposition your seat belt just because it feels uncomfortable. Look for ways to make adjustments to improve comfort. Positioning a belt under your arm or behind your back increases likelihood of serious injury in a crash.